I baked a batch of chocolate cupcakes for a party and was about to frost them with vanilla, when I was inspired by a can of Coco López Cream of Coconut. I love the flavors of chocolate and coconut together, so I went for it. 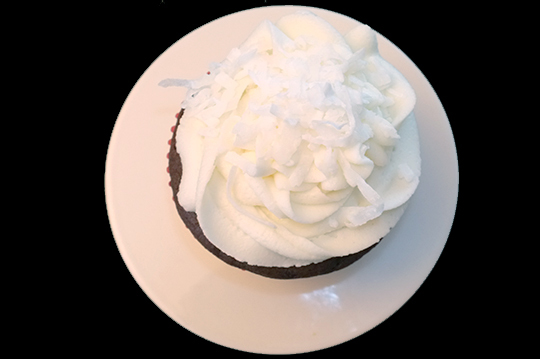 The snow white frosting was a basic buttercream with coconut extract and a healthy dose of that coconut cream. I added a pinch of fresh coconut flakes on each. 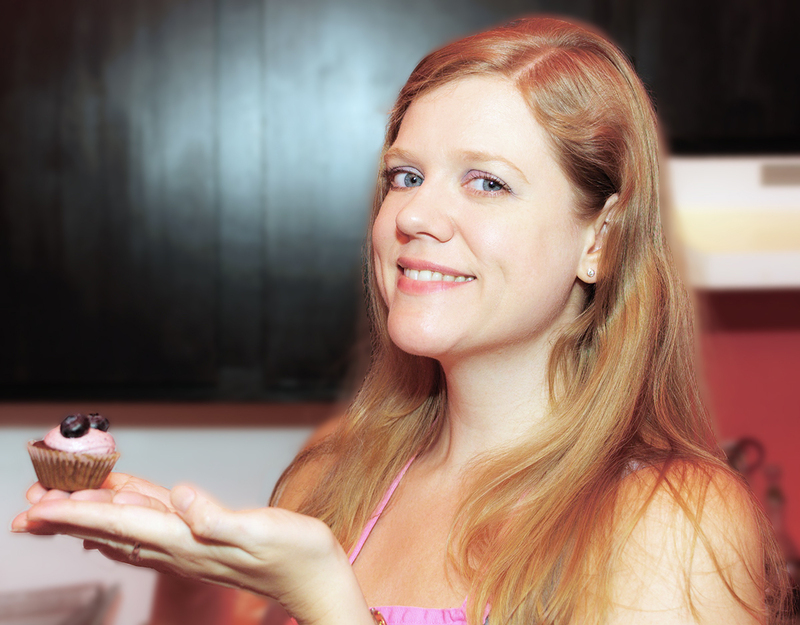 You can use coconut milk to make frosting, but that would be different. 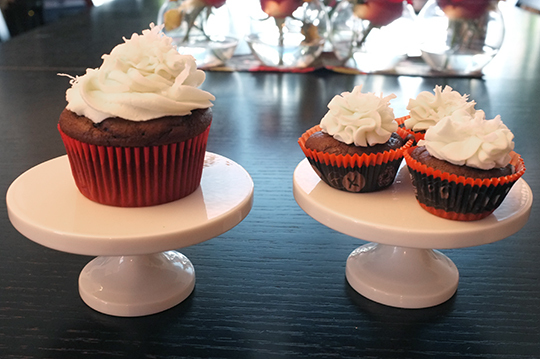 I used coconut cream, not milk, for a rich, sweet, coconuty frosting. Begin by beating your butter, then slowly add the powdered sugar. Add the extract, then the coconut cream. Add more cream or powdered sugar to reach desired consistency. Top with coconut flakes after frosting cupcakes. This is not an exact recipe, as you can see, use it as a guide!